With Attorney General William Barr reportedly scrubbing Special Counsel Robert Mueller’s report of material he deems unfit to share with Congress, what is eventually handed to Congress may be a redaction-riddled shell of the original. While that would be a travesty for the American public, who deserve the see the full report, reading Mueller’s words isn’t what finally matters. What Congress needs — and should receive — is the underlying evidence. And the group that has most vocally argued for their right to that evidence is none other than congressional Republicans. In 2016, Republicans’ zealous oversight of the FBI’s investigation into Secretary of State Hillary Clinton’s email practices changed the course of congressional investigations and the relationship between lawmakers and law enforcement, ultimately paving the way for Congress to see the complete Mueller evidence. After the FBI, which is under the jurisdiction of the Justice Department, made its very public decision not to charge Clinton, Jason Chaffetz, then the chair of the House Oversight and Government Reform Committee, was not content to take the bureau at its word about then Director James Comey’s conclusion. As Chaffetz said at the time, “It’s ‘trust, but verify’ is how it works. You don’t get to decide what I get to see. I get to see it all.” Chaffetz ordered the FBI to show its work and turn over the thousands of documents and notes that had comprised its investigation. And the FBI did, giving committees not only the summary of its investigative findings, but also classified records, emails found on the Clinton server, and summaries of interviews with witnesses, including the interview with Clinton herself. These documents provided the basis for further investigation by Congress. Just last year, Republicans in Congress again demanded documents from the FBI — this time regarding the Trump-Russia probe. 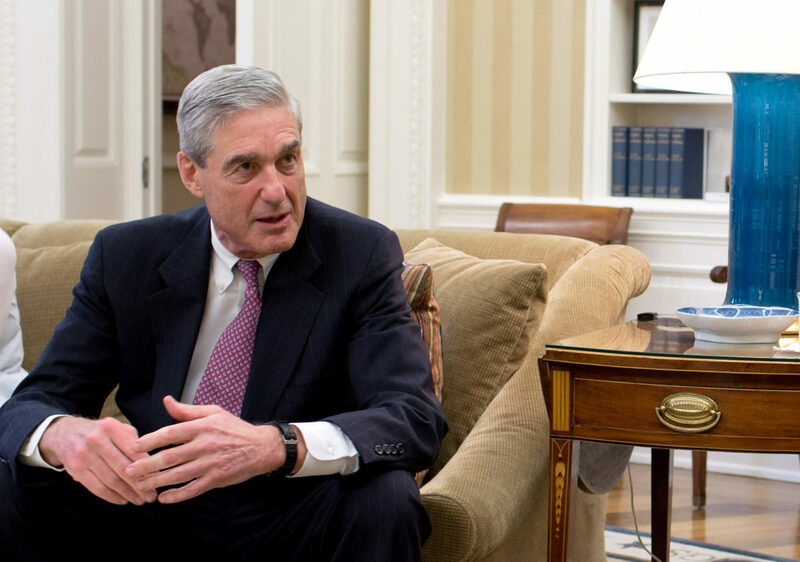 Again, the FBI turned over thousands of documents, including classified surveillance warrants, many of which likely served as a basis for some of Mueller’s findings. Rather than trust law enforcement agencies to make apolitical investigative decisions, Republicans determined that Congress’s oversight role includes checking the law enforcement agencies’ work. Once the FBI agreed, and released the underlying evidence considered in its law enforcement investigation to the legislative branch, the FBI changed the rules for its dealings with Congress. That genie will not go back in the bottle. Just as Americans were able to read about the interview with Clinton, they must be able to read about President Trump’s written interview. And just as the FBI has publicly posted on its website summaries of all of the interviews it conducted in the Clinton email investigation, so too must the Department of Justice post summaries of the more than 500 interviews it conducted in the course of the Trump-Russia investigation, so that the American people can fully understand the investigation and the special counsel’s ultimate conclusion. Anything less will send the signal that the FBI and the Justice Department will respond to document requests based on the party that makes them, rather than based on any theory of consistency or serving the public interest. With many Americans on both sides of the aisle having already made up their minds months ago about what the investigation would show, it behooves the Justice Department to adhere to its newfound commitment to full transparency. As Americans have become more polarized, the Department of Justice has an opportunity to temper some of that polarization by showing its work. Only after seeing all the evidence will Americans understand that the investigation was no witch hunt — nor was it a pre-ordained indictment. The same holds true for the Mueller report. Following its own recent precedent, the Justice Department must provide Congress — and the public — with the full story.